Welcome to Gordon College! We’re so glad you’re visiting with us.  During your time at Gordon we hope you’ll get a taste of the many opportunities offered both on and off campus. 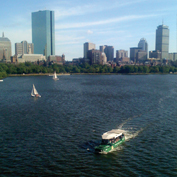 Gordon’s fabulous location on the North Shore of Boston provides at-your-fingertips resources for learning, growth, discovery and lots of fun! Just a short distance from beautiful beaches, natural parks, museums, artist colonies and historic landmarks, Gordon is surrounded by a rich cultural mosaic. We encourage you to explore our landscape and discover just some of the many reasons why so many choose to call Gordon home. 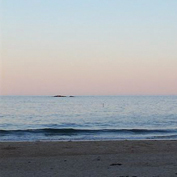 Just five miles from Gordon’s campus, Singing Beach provides a picturesque escape for busy college students. Kick off your shoes, soak up some sun, and be sure to listen to the sand as you walk! Directions: Turn left out of Gordon College onto Grapevine Rd (.6 mi). Continue on Grapevine Rd, which becomes Hart St (1.2 mi), and then becomes Hale St (.5 mi). Turn left at Hale St/MA-127 N (1.8 mi). Continue to follow MA-127 N. Turn right at Bridge St/Central St/MA-127N (.2 mi). Continue to follow MA-127 N. Turn right at Beach St (.5 mi). 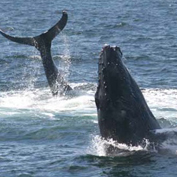 Rated by USA Today as one of the top 10 places and by World Wildlife Foundation as one of the top five places in the world to see whales, Gloucester invites you to take advantage of its prime location near two major whale feeding areas. Hop on board with 7 Seas to catch great whale sightings and hear from experienced marine biologists. Call for hours of operation and seasonal prices. Take a self-guided tour through this medieval-style castle built by John Hays Hammond Jr. between 1926 and 1929. The beautiful castle grounds sit peacefully on the Atlantic shore and provide much entertainment for visitors as they explore Renaissance history and a few secret passageways! 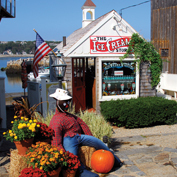 Browse through the many little shops in this quaint New England town. Stop in some of the local art galleries to get a taste of this thriving artist colony! 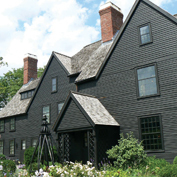 Built in 1668, the House of Seven Gables (also known as the Turner-Ingersoll Mansion) is the oldest surviving 17th-century wooden mansion in New England. Explore the inspiration behind Nathaniel Hawthorne’s legendary novel by the same name. 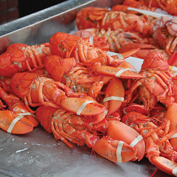 Tour Boston aboard a WWII-style amphibious vehicle! 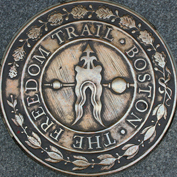 Your ConDUCKtors will take you on a tour through all of Boston’s hot spots to show the historical, fashionable, and little-known sides of such a unique city. Get ready as your “DUCK” takes a dive into the Charles River for scenic views of the city skyline! of the American Revolution. Take a self-guided tour, or book a 90-minute private tour departing from the Visitor Information Center on the Boston Common. Top banner (Rockport): Flickr user Trebz, Singing Beach: The Sharpteam, Downtown Rockport and House of Seven Gables: Flickr user Trebz, Duck Tours: Ben Becker, Freedom Trail: Jill Clardy, Lobsters: Eric Kilby. 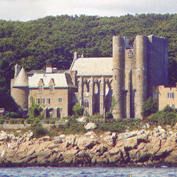 Seven Seas Whale Watch and Hammond Castle photos taken from their web sites.